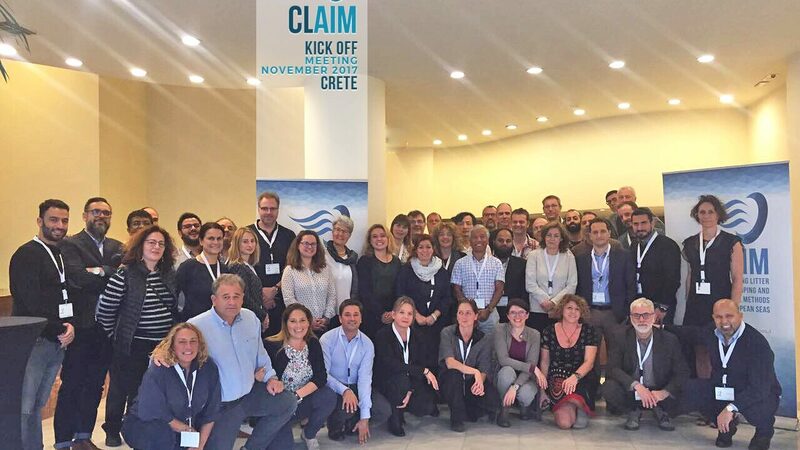 The official kick-off of CLAIM: Cleaning marine Litter by developing and Applying Innovative Methods took place in November, on Crete, Greece. During the event 19 partners across 13 EU countries Tunisia and Lebanon met to discuss future plans and actions to power start the project. The newly funded, EU Horizon 2020 project targets increasing pollution in marine areas by focusing on the development of innovative cleaning technologies and approaches. The project will seek out new strategies for prevention and in situ management visible and invisible marine litter with a focus on the Mediterranean and Baltic Sea. “Marine Litter has been detected worldwide in all major marine habitats, in sizes from microns to meters. Especially in the marine and coastal environment of semi-enclosed seas, such as the Mediterranean and Baltic Sea, litter pollution is a challenging restoration and governance issue.” comments Co-coordinator, Dr. Nikoleta Bellou, Hellenic Centre for Marine Research (HCMR), Greece.